Pear harvest, 2014. Not to scale! Pruning has a reputation for being scary, right? It makes new gardeners nervous because of the very real possibility that a tree or shrub can be pruned into non-fruiting, non-flowering or, worst of all, non-existence. I love a bit of pruning, everything looks tidier afterwards but I have to remember that I'm no expert and have a tendency to be a tad over-enthusiastic with the snippers. As such, I'm always open to any tips which will increase my knowledge (and therefore confidence) in how to do this job properly to benefit the plant, especially where my fruit trees are concerned. 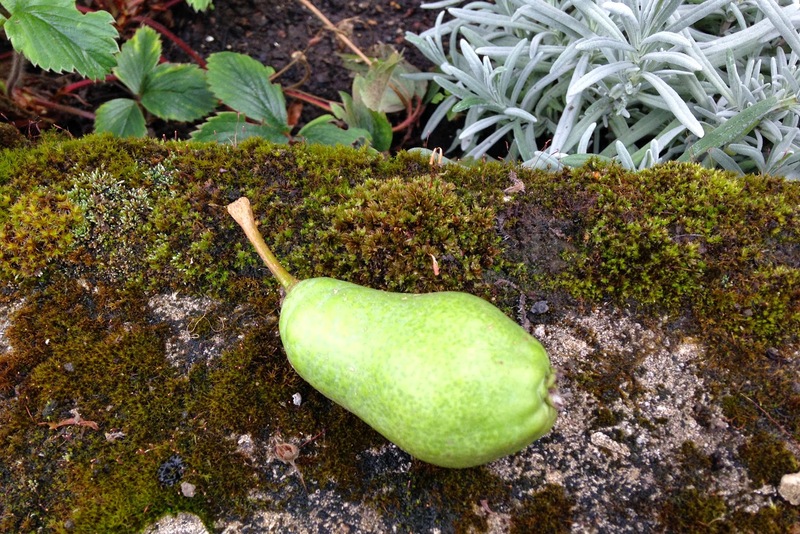 My pear trees have been on my mind because so far in their short lives (six years), they've yet to bear fruit. They're Conference pears and although they're self-fertile, I have two of them for better pollination. Last year there was lots of blossom, lots of bees, lots of teeny tiny fruit and then the slow realisation that they'd all fallen off. I did find a solitary two inch long fruit that had fallen from the tree in high winds midsummer but that was it for 2014. The pear trees in the veg patch garden were one year old bare root whips on a 'semi-dwarfing' Quince C rootstock when we planted them in December 2009. I knew very little about pruning and believed that the rootstock would limit the trees to what I then thought was an acceptable 3 metres tall (around 10 feet). I also thought they were supposed to fruit within 3 to 4 years. Well, time has proved me wrong. 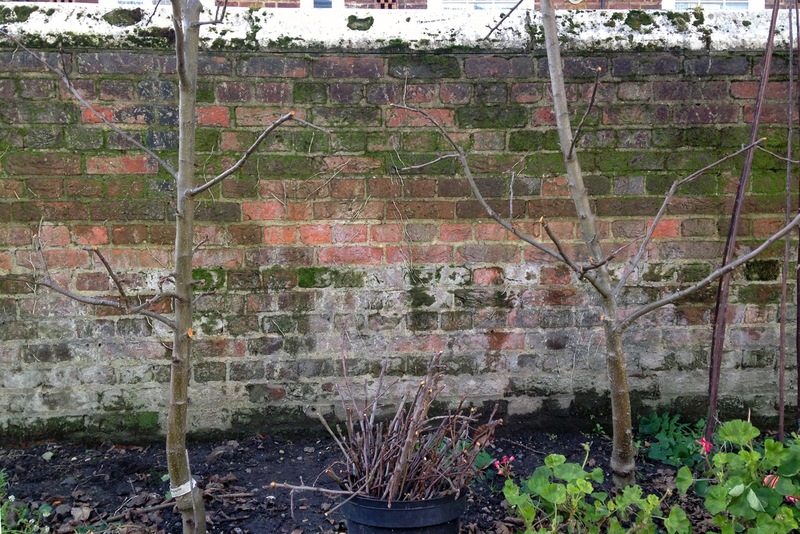 Fruit trees in March 2014 - plums nearest, then apples, then pears. The height of the trees now makes me think that we've planted them too close together, fitting 8 fruit trees into a 35 ft long border. 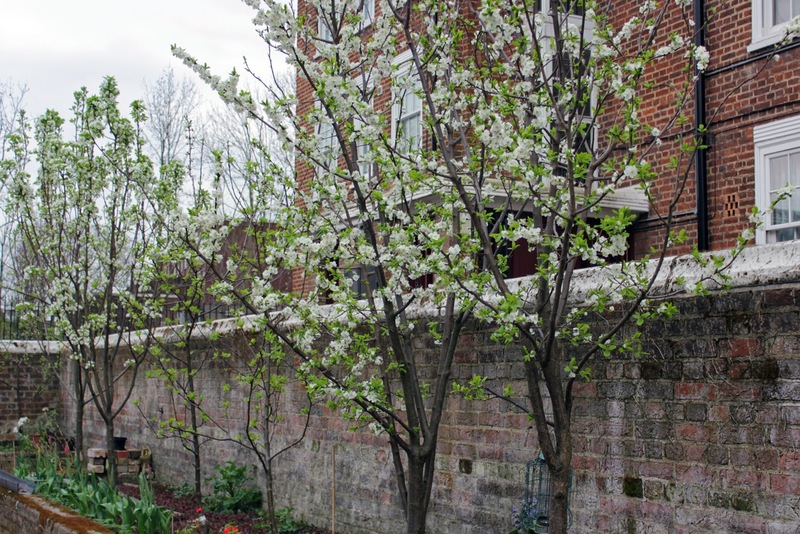 The intention had been to plant 4 of each variety (pear, plum, apple, cherry) in the border with a matching border on the other side of the garden. Biting winds and a lack of time changed our plans and all 8 went in together. Last summer I looked at the dense canopy of the plum and pear trees (no fruit on either) and had recurring thoughts about chopping down one of each tree to open things up. 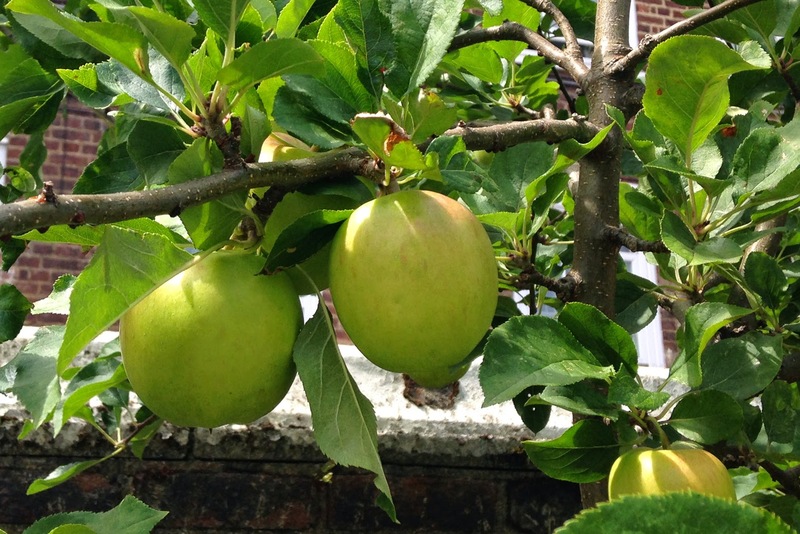 Luckily a Plan B has emerged in the shape of a few videos and book recently reviewed on Emma Cooper's blog - Grow a Little Fruit Tree by Ann Ralph. I immediately bought a copy and read it within the next couple of days. I've also watched You Tube videos (links below) by Paul Gautschi (reknowned for being a master arborist in his Back to Eden garden in the USA) and Bill Merrill, a Californian edible landscape gardener. All these people believe in keeping their trees to a manageable height (no more than six feet) for ease of pruning and fruit picking. Apple branches are pruned to grow outward, so that no branch shadows another, or down because horizontal branches crop more heavily. Pear centres are opened up - as Bill Merrill says "So the little birdies can fly through the middle" (possibly where I've been going wrong) and they've found that their trees still give a good crop but without having to persuade neighbours to take the excess after making industrial quantities of preserves. Braeburn apples last summer. This is a spur bearing tree with the apples hanging from near horizontal branches. Pruning will promote spur growth. The book's author, Ann Ralph, believes pruning should be done twice a year - around the winter solstice for growth and the summer solstice for shaping. The theory goes that in late winter the tree is ready to break dormancy with the energy going up the trunk and into the limbs. By late summer the energy is directed downwards, back into the roots, as the tree prepares for winter dormancy again. Winter pruning stimulates growth, pushing the tree's energy out into the remaining limbs. Summer pruning does not have this effect and is done to shape the tree aesthetically and to manage fruit production. Fruit tree pruning […] is less of a science and more of a conversation. You prune, the tree answers, you prune again. We're not talking chit-chat here but cause and effect. This reminds me of the Chelsea Chop, which is timed to promote vigorous and healthy growth for the flower show, and deadheading in our own gardens to prolong flowering. All plants will respond to the attention that we give them. Semidwarf means only "smaller than standard". If a full-size tree is thirty feet tall, then a semidwarf might grow to be as high as twenty-five feet. Yikes. This is a comment well-aimed at urban and small garden growers. Big trees will block the light; smaller trees are more suited to a domestic garden. And the smaller the tree, the more can be fitted into the garden, increasing the varieties that can be grown by an individual. There's also the more practical aspect of reaching the fruit on a tall tree. I'm 5'2" - how am I going to pick fruit at the top of a 15 foot tree? I won't. It will fall to the ground and rot. 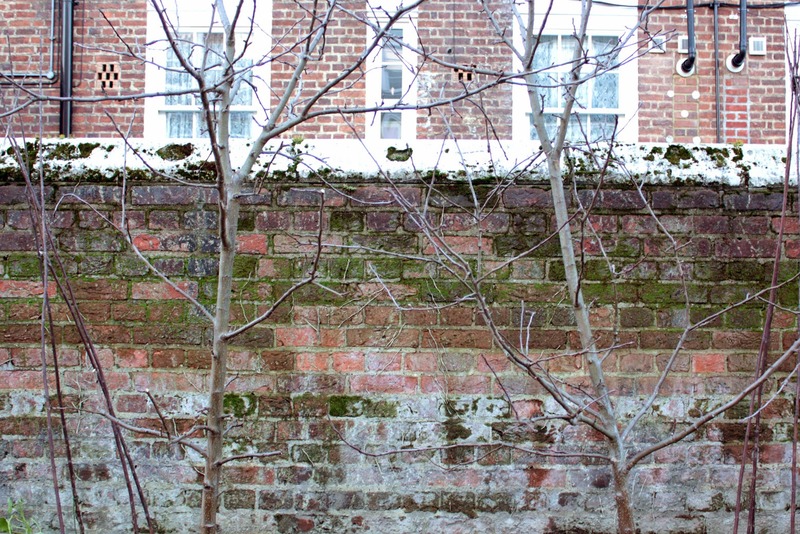 Apple trees before pruning: leaning together, tangled branches. And after pruning: One main leader stem and strong branches not touching. And any mistakes that I may make can be corrected in the next prune and will only help to improve my experience. The title of this post is a quote taken from the book; it will be true whatever the outcome. PS. I'm sending my thanks to Erin at Organic Gardening in Sidney (Canada) for sharing the Back to Eden pruning video on her blog which is where I first saw it some time back. Thank you, Erin! In the winter months, while waiting for the garden to wake up, there's something really special about the scent of flowers on the breeze or in the still of an evening. 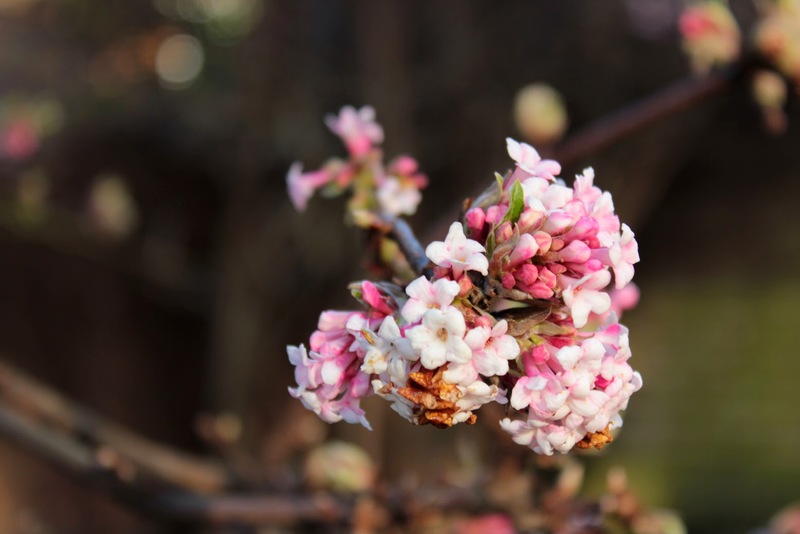 It's there to attract pollinators and is particularly helpful to bumblebees who start to wake up in January and need to stock up their food reserves. I've been thinking about scent in the garden since being asked to advise on a bare patch of earth destined to become a front garden. 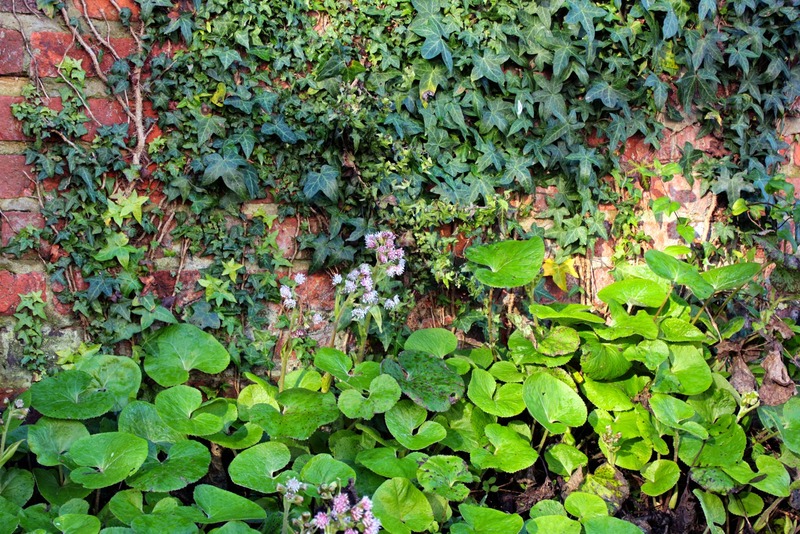 The client is a florist who wants her garden to be welcoming and uplifting whether viewed from the street or indoors. So my recommendations will encompass scent, colour, movement and seasonal interest. I then read that Sue, author of Backlane Notebook blog, and Louise 'Wellywoman' Curley were proposing a monthly round up post of the scent in our gardens. Open to all, join in! Wellywoman's first post is here. I headed outside to see what was scenting the air locally. There are two stands of Viburnum x bodnantense 'Dawn' in the gardens here - a shrub well-known for its subtle scent and pretty flower clusters in the middle of winter. I say "subtle" but at times I've been able to get a whiff from a good five paces away. There's also some ancient honeysuckle snaking through an overgrown Hebe - I think it's Japanese honeysuckle which is supposed to flower in summer but I found a few blossoms among the evergreen leaves and quickly snipped those for a vase indoors. They're wilting after five days but even now I can catch a whiff as I walk past. 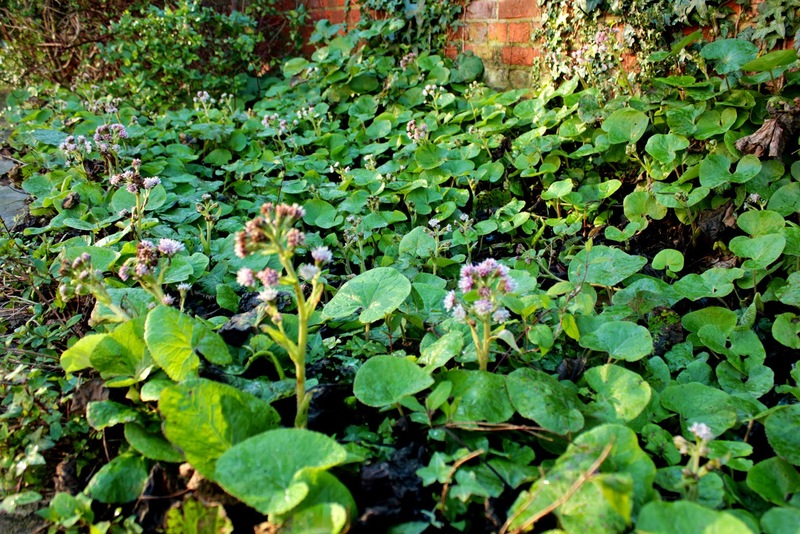 But an unusual winter niff, at least from these gardens, is from Petasites fragrans. 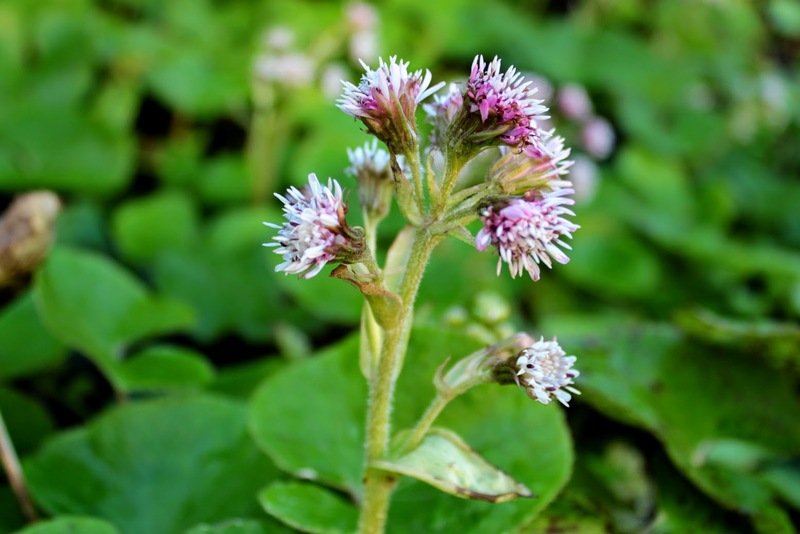 Popularly known as Winter Heliotrope and related to Sweet Coltsfoot and Butterburr, it's more commonly found on roadsides and woodland verges. It's perennial and non-native, being introduced to the UK as a garden plant back in 1806 when George III was still our monarch. By 1835, it had escaped from gardens into the wild. I only found out what it was last year thanks to an article in the RHS magazine on scented winter flowers. The flower spikes are about ten inches high and only really look good for a few days but get up close, or pick a few for a small vase, and their sweet scent is revealed. I've read that they smell like vanilla or honey. As a keen baker, I have to disagree - to me, they smell sweet, like baby talc. If the colour soft pink had a smell, this would be it. But that's it - its one and only season of interest. In these gardens, the flower spikes start to appear in late December and the flowers - small tubular clusters - show up in early January. 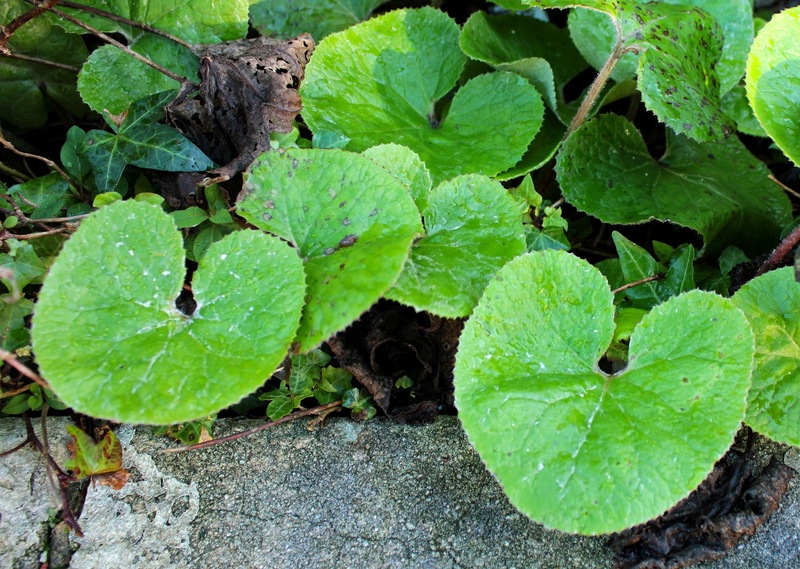 The leaves are soft, bright green and shaped like lily pads but even those will be blackened or mottled by a sharp frost. The plant spreads by underground rhizomatous roots and there's my problem. 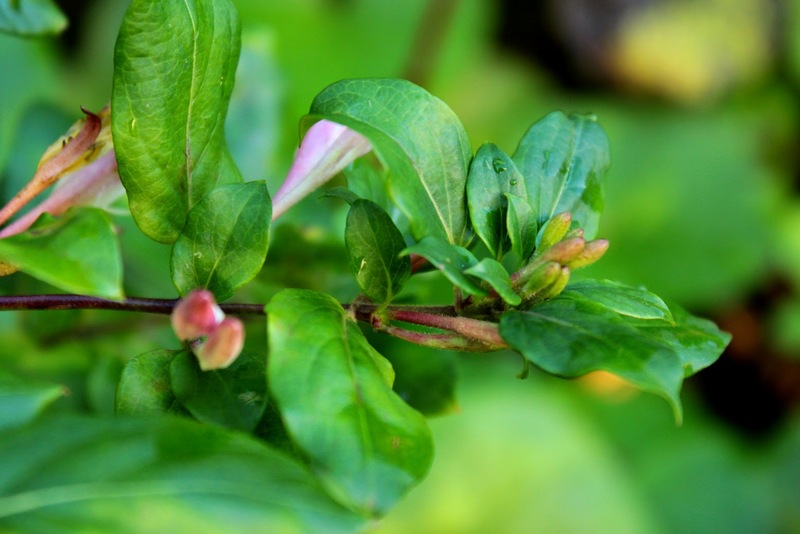 It's quietly invasive and hard to get rid of except with some determination and a lot of digging. It dominates one of the raised borders here and is earmarked to go. So far it's been left alone because it provides dense ground cover until I'm ready to use the space but I've noticed that it's spread along under the Hebe where it usefully grows in shade. I suspect it's providing cover for a host of over wintering bugs and bumbles so I'll relocate some when (or if) I dig it up. It would make a good alternative to ivy in a lightly shaded garden, I think, but it grows to the detriment of other plants nearby. I have no idea why it's growing in the gardens here - I can't imagine anyone deliberately choosing to plant it and I'm fairly certain you can't buy it - but it does provide a rich source of early nectar for bumblebees. Because bumbles are warm-blooded they can fly in cooler winter temperatures (unlike the honeybee) so an early source of food for them is vital - especially if you want your veg pollinated in due course. They can fly up to six miles from the nest site so it's in the gardener's best interest to ensure they stick around by providing a good source of nectar. In her book 'The Natural Gardener', Val Bourne says that they have a preference for tubular flowers - foxgloves, aconitums and nepetas being their favourites. It seems that Petasites might be more friend than foe. PS. Don't think my search for winter scent stopped at home; next up, Daphne bholua and the winter walk at Wisley. Having my face slapped about with two days of face-chilling frost was the absolute best finale to 2014. That bitingly crisp freshness coupled with clear bright blue skies felt like the perfect wintry pause between one good year and the next. Am I being optimistic? Yes! Always. But there is definitely a sense of confidence in the air for 2015 - I guess a good year will do that. Other blogs are buzzing with gardening plans and hopes for the coming year - trips, garden visits, seeds to be sown. Here, too, I hope to build on 2014. Every year of gardening brings fresh insights and knowledge; I've got winter veg growing again - kale, broccoli, cavalo nero, spinach. The microclimate induced by growing between two blocks of flats means that I still have parsley, mint (just), thyme, sage; my cape gooseberry has lots of green lanterned fruit which I hope will ripen early next year. I know to watch out for rosemary beetle (my plants are looking very ragged) and to grow my tomatoes in a line, not a cluster. This year I'm determined to make space for cut flowers so I need to re-evaluate the space. Last year there was a new flush of estate children who declared an interest in joining in and learning so space will have to be found for each child to have a little patch to call their own. It's all possible but first I have to move some plants and draw up some plans and now is the perfect time to do it. It's a lovely word with nuanced meaning; my favourites are to have poise, decency, respect, generosity, kindness, to enhance, to favour and to enrich. All qualities which I feel I've been on the receiving end of, certainly through comments and meetings. So when I next find life getting a tad annoying, I hope to take note of this one word, pause (give myself a moment's grace) and respond in a gracious manner. I'm not one for any horoscope malarkey but I do have one or two of the Aries attributes and I swear one of my Irish ancestors must have kissed the Blarney Stone more than once! 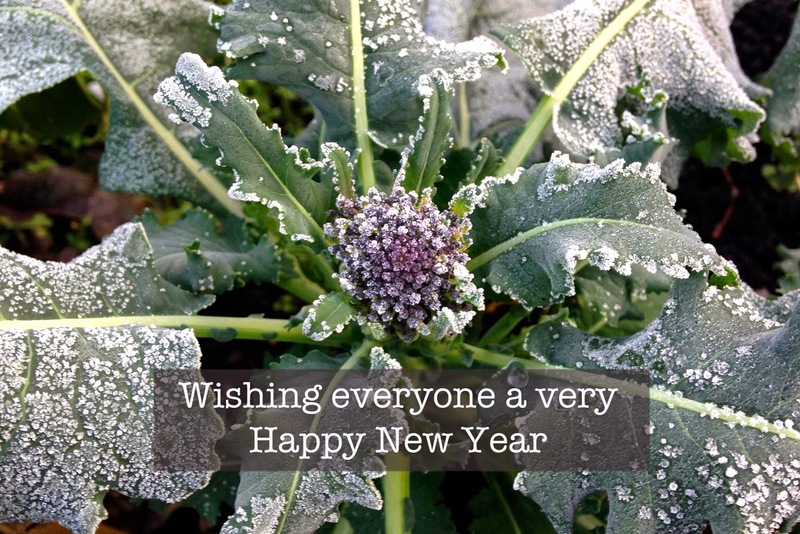 The frost had gone by the morning of New Year's Day but I wanted to use one of my frosty veg patch photos to greet the New Year in. I kept thinking that the photo reminded me of something and, look, there it is - a Union Jack, brassica style. How very British! So after a quiet and relaxing Christmas and New Year which suited me very well, I'm now looking forward to 2015 and wish everyone a productive and successful New Year! 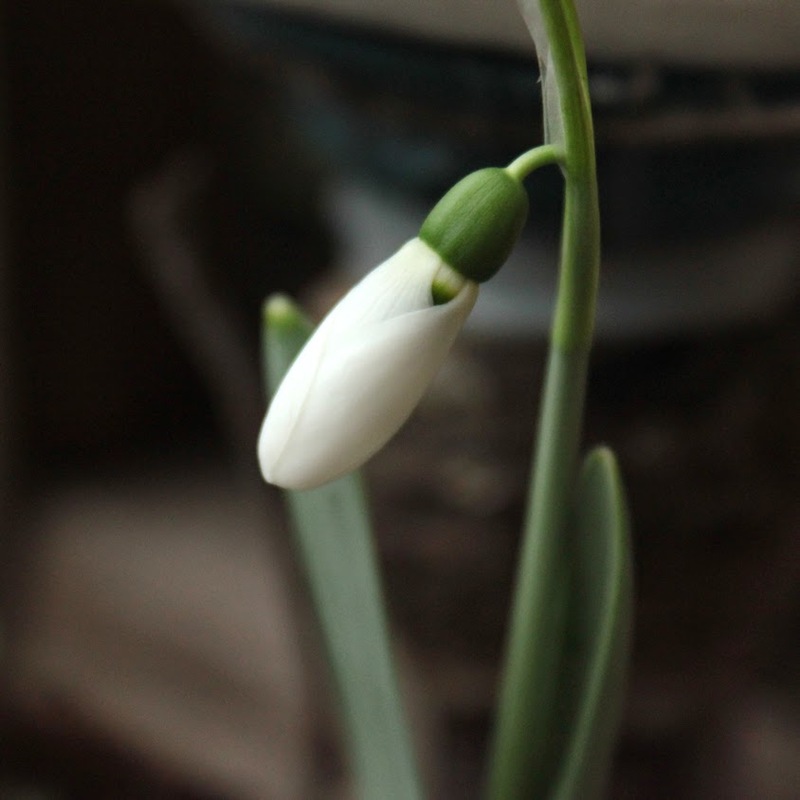 My first snowdrop (ever) is almost out!